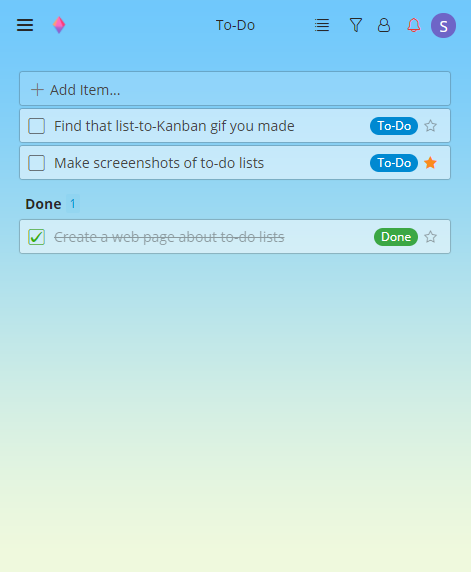 Any collection in Zenkit can be set up as a 'To-do list' collection. Doing this means that in any view, you'll be able to check a box to mark tasks as 'done' and watch your item move down the list! And you don't have to stick to "To Do" and "Done" - this works for any kind of label you like. Move inventory from 'Available' to 'Sold Out', mark applications as 'Accepted', or track the arrival of event attendees. Sad to see Wunderlist go? So are we. 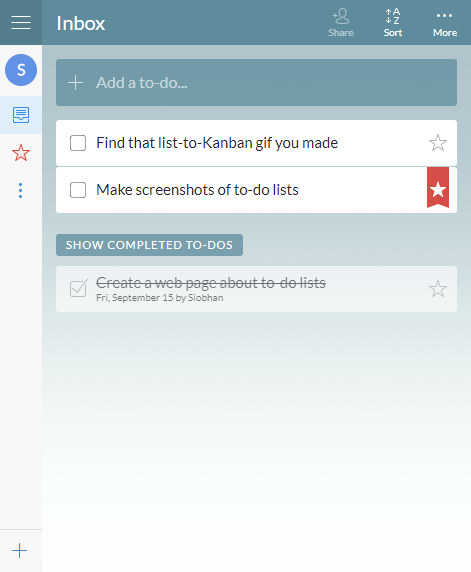 But with to-do lists, we've created a space in Zenkit for Wunderlisters looking for a new home. Connect your Wunderlist account to Zenkit to easily import your lists in seconds. We've even got our own little 'ping' sound, so that the satisfaction of checking things off your list remains.